I have locs, and both my daughters, ages eleven and nine, wear their hair in locs, too. As a result, I get a plenty of questions about my decision-making process. This curiosity comes with historical and cultural context, because Black folks – particularly women – will tell you that for us, hair is never just hair. That’s an intentional generalization of course, since not all Black women feel connected to the historical, cultural, and even political aspects of Black hair. This is why making the decision to loc our children’s hair is rarely ever simply a matter of styling choice. It’s also a matter of the perception and protection of our children. It’s no wonder that despite the rising popularity of natural hair and African-ness, we’re still struggling with the dominant culture’s perceptions of our Blackness. Historically and still today – particularly in this #BlackLivesMatter era – the White Gaze determines so much of how we publicly represent ourselves. Because let’s be clear – in America, aspects of Black culture are popular (Hello, Marc Jacobs! ), but Black people are not. And wearing our hair without the addition of chemical straighteners is (again, for some of us) attached to a source of pride in our Blackness. So this 4C (4 Considerations) Hair dialogue isn’t focused on hair type (though my oldest daughter and I do happen to be 4C-ers *smiles*). Rather, it’s specifically about what to consider when deciding whether or not to loc your child’s hair by examining the important context, conversations, concerns, and choices that help shape our children’s experiences and interactions. In my piece about Blackgirl hair shame, I explained that when we were transitioning into womanhood, where respect and well-put-togetherness are a factor, showing our natural Black African hair texture was not the way to go if we were to be taken seriously. We witnessed the absence of Black women — let alone Black women who showed their natural hair — in the public figures we observed, including those in politics, entertainment, media, and even in schools. Today, even though more of us, including women in the generation before us, stand comfortably in our decision to wear our hair however we choose, we can still count the number of natural, let alone loc-wearing Black woman who get to show up just as they are. We still squeal when Lupita Nyong’o shows up on the cover of People Magazine with her African hair fully visible and unprocessed. Some of us, along with the rest of the world, are still getting comfortable showing up as our real selves. It feels vulnerable enough to be Black in America, let alone Black and bold enough to overtly embrace our African-ness by going from processed to natural hair. For many Black women whose hair is devoid of chemical straighteners, wearing our hair in its natural state was not a norm; it was an eventuality. We made a conscious decision to have a different relationship with our hair, and with our self-expression. That decision led us to a transition period of both literal and figurative undoing. We had to undo decades of chemical treatments by cutting off our hair, or by putting it through various protective styles while we nurtured it back to natural. We had to undo the narrative that told us we could only be beautiful with perms. We had to undo the lie the marketers sold us that said our natural hair is too difficult to manage. Dreadlocks, the most permanent of the natural hair options, has long been viewed as the hairstyle of unapologetic outliers, or unclean bushmen and women, depending on what part of the planet you were on. They — which many of us now prefer to call locs — are said to have origins in ancient dynastic Egypt, and later, India. In more recent years (the 1950s), Rastafarians out of Jamaica unintentionally popularized the natural hair option and today people wear locs for vast and varied reasons – ranging from religion to personal preference, and plenty in between. When considering locing your child’s hair, consider the context in which you view locs. What is the story in your mind around locs? Do you attach a certain lifestyle or attitude to loc-wearing? And what about your child? Can they gauge context, and does it matter to you why they want locs? These are some important considerations that will help you get present with yourself and your child as you weigh your options. 2. Conversation: How Do You Know If It’s the Right Time? When considering whether to loc your child’s hair, how did the conversation come up? This consideration will help you determine if locs are the real desire, or if there’s something else that needs to be discussed: A body image issue? A need to feel more comfortable with their hair? Or simply an aesthetic thing – they just love the look? Ask them questions and bring them into your research process. For example, in Fall of 2010, my friend Denene, who also wears her hair in locs, yielded to her daughter’s request to loc her hair. At age nine, her oldest daughter, like mine, saw and fell in love with the look of loc’d hair. It had been almost two years since I had loc’d my then six-year-old daughters hair, also at her request. What Denene and I did for our daughters is my recommendation to any parent or caregiver who can empower or refuse a child’s request to loc their hair: We asked them their reasons for wanting locs. We showed them images of people with locs so they could feel through the choice. We explained to them that locs limited their options in some cases and widely expanded it in others. We talked about how people might view locs (more about that in the next section). And remember that it doesn’t have to be complicated for you at all. If your child asked and you have no issue with locs, you don’t have to do months of exploratory Q&A; you just have to consider a bit past your child’s present and into their future, not in the name of public opinion or prejudiced perception, but for personal care considerations and other concerns. Contrary to popular belief, locs are not a no-maintenance hairstyle. I’ve heard so many women say the appeal to potentially locing their hair is the no or low-maintenance factor. But depending on what you want from your locs in terms of style, it may be just as much work as chemically treated or loose natural hair. 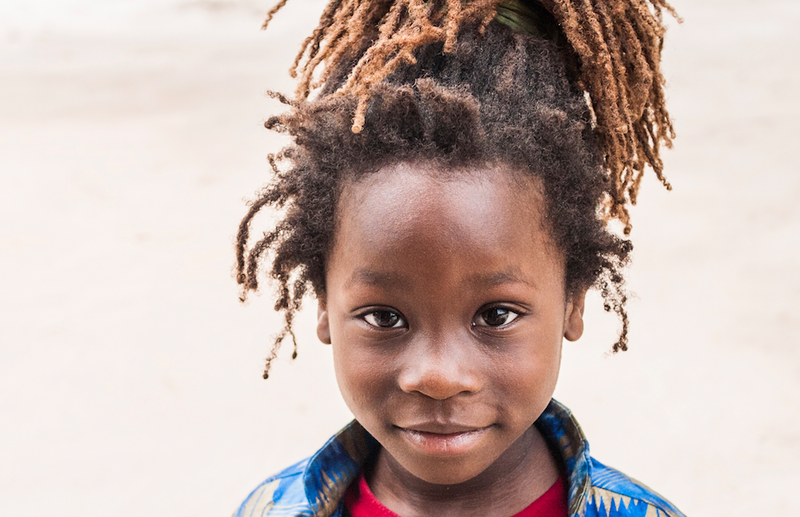 If your child has fine, loose-textured hair for example, sometimes the edges of their hair don’t work well with the weight of locs, and can possibly do permanent damage to the hairline (above the ears and parallel to the temples). Do you know how to maintain healthy locs? If not, the costs can be considerable, ranging from $55 per wash and re-twist, to $150 for washing and interlocing. Is that feasible for your budget? And do you have the time it takes to wait at a salon, or to do it yourself? Loc grooming can take anywhere between ten minutes for free-formers or 2-3 hours for more highly groomed loc styles. Of course, if you’re versed in loc grooming and don’t have a full weekly schedule, loc care may not feel like extra work. That’s the case for me. I groom three heads of locs every few weeks, and it doesn’t feel like work; just daily living stuff. The more hair you grow, the more hair there is to keep clean and dry. If your child is regularly engaged in activities that cause sweating – say the track team or gymnastics, or just daily play outside – then their locs might need more attention that they’re used to having to give to caring for their hair. Generally speaking, children under age ten or eleven may find loc care inconvenient and might even give parents a struggle to go to appointments or make time for you to wash and re-twist their hair. But it varies – you know your child. My oldest was six, and I think my youngest was six too, when I loc’d their hair. They still whine about spending the 30-40 minutes it takes me to do their hair every couple of weeks, but they also love their hair and are confident girls who know that their hair is beautiful and fun. They don’t need chemicals to feel like their hair is lovable. Don’t base it on other people’s experiences. Base it on what you know about your child. I addressed this at the beginning when I brought up respectability politics amidst the (feared) White Gaze. Mind you, I don’t address this gaze as a way of saying that most of us are focused on White people at the expense of ourselves. 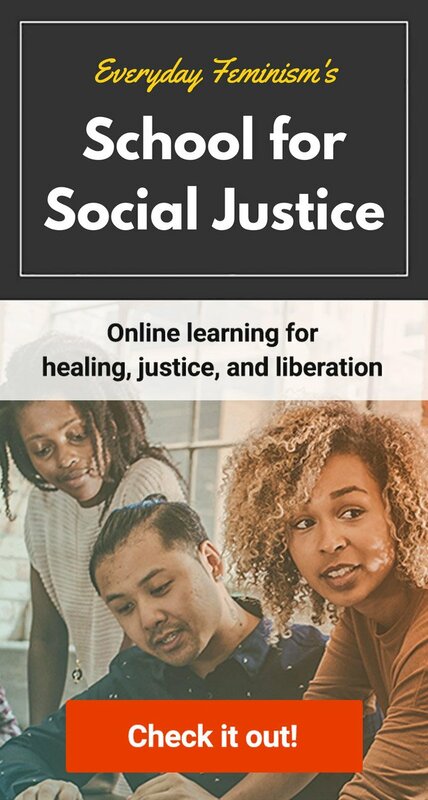 Its relevance here is to discuss how we have had to learn to adapt to a system that devalues us, in part by being aware of the forms of oppression that may limit our opportunities to self-actualize. When it comes to your child, I hope they don’t face expulsion or ridicule before you talk with them about how some people view differences in people. This isn’t about causing your child to expect prejudice – It’s about not leaving them unprepared to put other people’s opinions of them into context. Otherwise, they might believe what they hear and develop issues with their own identity. Today, as Black parents continue to help our children maintain self-expression, confident autonomy, and self-acceptance, hair – for Black girls and women – remains part of that dialogue. Taking time to understand how to care for our hair without a reliance on chemical straighteners is a necessary part of our journey away from the white gaze and respectability politics and over toward our own desires and connections – be they cultural, political, spiritual, or a simple matter of aesthetic preference. Recognizing the value of these 4C’s, context, conversation, concerns, and choice can help us see that we are not somehow “less Black” if we chooses not to loc our child’s hair, and we are not inherently dooming our children to harsher prejudice or lessened opportunities to get ahead in the world if we do choose to loc their hair. After all, we are not unprofessional or less ambitious or less beautiful because we choose to keep our roots (literally and figuratively) visible. The goal in either option is to continue spreading the reality that it is okay for us to wear our hair the way it grows out of our heads; natural Black African hair is an option and we are beautiful, valuable, and relevant no matter how we choose to rock our crowns.